Tamika Mallory, the ADL, & the Hypocrisy of the Anti-Black Zionists! 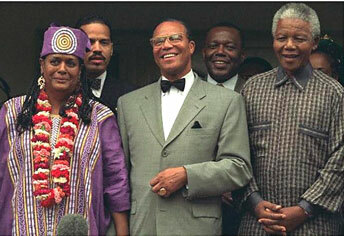 Minister Farrakhan and Ms. Mallory. 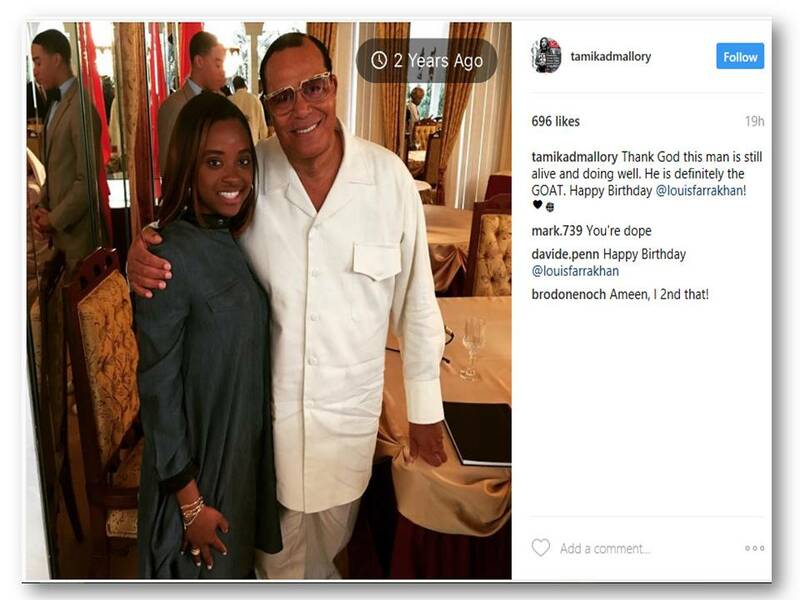 For the past month, Women’s March Co-organizer Tamika Mallory has faced relentless criticism for doing what millions and millions of African-Americans have done for decades and generations of their lives: she attended a speech by Nation of Islam leader, Minister Louis Farrakhan. Organizations such as the ADL refused to accept this and took to Twitter and other social media to criticize not only Ms. Mallory but other Black leaders who would dare share the same breathing space as Minister Farrakhan. Why didn’t the ADL attack Peres with as much tenacity for taking a photo with Hendrik Van Berg, with they did Ms. Mallory for uploading a photograph with Farrakhan? Foxman asserted, “Just think of the diverse contributions Shimon Peres has made to mankind?”  It would appear the ADL does not hold itself to the same standard it seeks to impose upon Ms. Mallory. Foxman has also shared platforms and taken photographs with former Israeli prime minister Ariel Sharon, who believed that the racist white settlers in apartheid South Africa needed,”more modern weapons.”  Was there any outcry about this appearance? No. In the Unspoken Alliance: Israel Secret Relationship with Apartheid, South Africa, Sasha Polakow-Suransky writes that, “As the anti-apartheid campaign turned its attention to Israeli links with South Africa, the ADL entered the propaganda frat, publically attacking Nelson Mandela’s ANC with arguments that mirrored those of hardline security officials in Pretoria.”  Indeed, instead of repudiating Peres for signing a defense agreement with Apartheid, South Africa, in 1986, the then national director of the ADL, Nathan Perlmutter co-authored an article defending apartheid and South Africa’s President P.W. Botha while denouncing Nelson Mandela’s African National Congress as, “totalitarian, anti-humane, anti-democratic, anti-Israel and anti-American.”  If the ADL had been aware of Nelson Mandela’s photograph with Minister Farrakhan, given their history, the ADL would have probably used that to call for Nelson Mandela to step down from his position. After this repugnant history, it’s absolutely absurd for the ADL to even posture as though its a credible civil rights organization when they have not made any acknowledgment or amends with Black communities for their decision to support white murderous rule in apartheid, South Africa. Whilst criticizing Ms. Mallory for associating with the NOI, the ADL in events such a, “National Counter-Terrorism Seminar in Israel”  demonstrates it is more than willing to associate and even promote the Israeli defense force, an organization that has a demonstrated track record of actual physical violence against Black people. The Bantustans were systematically designed to confine the socio-economic mobility of Black people and ensure that Black people remained a permanent underclass and cheap labor source for white people. By any objective standard, the Israeli “defense” force should be classified as a hate group for policing the bantustans of apartheid, South Africa. The ADL is upset that Ms. Mallory attended a Nation of Islam event, an organization whose members are forbidden to carry weapons—even a pen knife. In contrast, Peres provided apartheid South Africa with brutal weapons used to kill Black people. A CIA memo titled,” Israel’s relationship with Apartheid, South Africa,” revealed that Israel under Peres’ leadership provided apartheid, South Africa with piloted reconnaissance drones, gail assault rifles, 155m howizers, kits and the Israeli defense force provided technical assistance to modernize apartheid South Africa’s mirage 3 fighter aircraft. Israel also provided riot control equipment including gas masks and tear gas training program to apartheid South Africa. These weapons were utilized to kill Black people. The Nation of Islam is currently characterized by the ADL as a, “hate group” despite a lack of history of actual hate crimes. In contrast, the Israeli defense force, whom the ADL is affiliated with, has a documented and undeniable history of facilitating state terrorism against Black people. 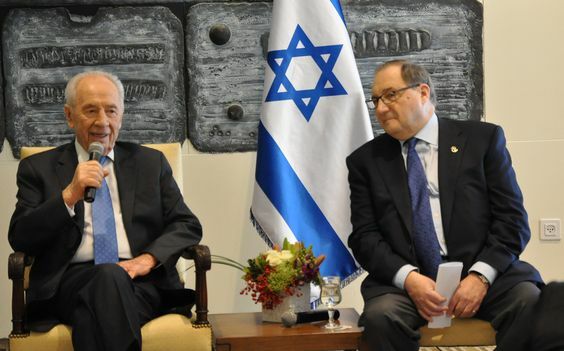 Why is it acceptable for Foxman to snap photos with Peres but a Ms. Mallory instagram post with Minister Farrakhan results in a national uproar? Given the anti-Black violence of the israeli military, the ADL’s decision to promote the Israeli defense force is far worse and worthy of condemnation than Ms. Mallory’s decision to attend a Nation of Islam event. When Will the ADL condemn, the Anti-Black Zionists? Another immense double standard was revealed when Chief Rabbi of Israel, Yitzhak Yosef, referred to Black people as, “Monkeys.” The characterization of Black people as monkeys, is no light matter, it is rooted in Black people being portrayed as subhuman, and it is the very ideology that rationalized colonialism and the enslavement of Black people. Yet, the most the ADL did was issue a watered down tweet claiming it was, “racially charged”, as opposed to explicitly anti-Black. There were no calls for any particular individuals who in the audience who attended the speech to resign from their places of employment. Moreover, the ADL has devoted a significantly larger amount of tweets indicting Minister Farrakhan compared to one watered down version condemnation of Rabbi Yitzhak. There was not even a call nor pressure by the ADL to have Rabbi Yitzhak step down from his position as chief rabbi of Israel. 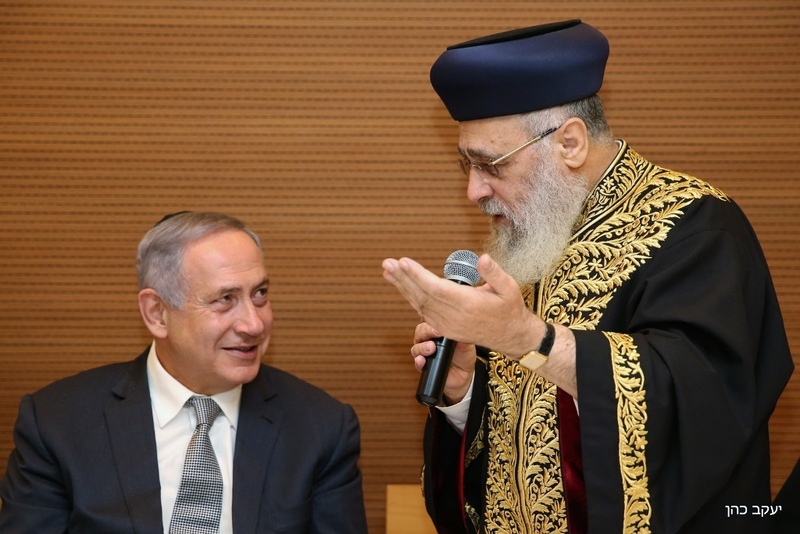 Israeli Prime Minister, Netanyahu with the chief Rabbi of Israel who has called Black people,”monkeys.” When will the ADL pressure Netanyahu to resign for his association with a racist? While Zionist Lobby groups have called for Senator Maxine Waters to resign for a video showing her warmly embracing Minister Farrakhan, there have been no calls for Netanyahu to step down as Israeli prime minister for photographs showing him shaking hands with the anti Black Rabbi, Yizhak Yosef. The anti-Black zionist groups such as the ADL place the state of Israel over Black lives. Given the ADL’s role in supporting apartheid, in South Africa , it is not to be taken seriously as a civil rights organizations. The ADL has no authority to tell Ms. Mallory or any other Black leader who they can associate with. Instead of focusing on her decision to attend a speech by Minister Farrakhan and stalking her social media for Minister Farrakhan photos, the ADL should be seeking forgiveness and atonement from the Black community for their complicity in being anti-Black. Refinery29.com. (2018). Women’s March Organizers Accused Of Anti-Semitism—Again. [online] Available at: https://www.refinery29.com/2018/03/192438/tamika-mallory-nation-of-islam-louis-farrakhan-speech-2018-anti-semitism-womens-march?bucketed=true [Accessed 29 Mar. 2018]. “Women’s March Leaders Refuse to Condemn Farrakhan after Antisemitic Speec.” The Jerusalem Post | JPost.com, 4 Mar. 2018, www.jpost.com/American-Politics/Womens-March-leaders-refuse-to-condemn-Farrakhan-after-antisemitic-speech-544074. The Israeli Connection: Whom Israel Arms and why By Benjamin Beit-Hallahmi, pg. 63. “The Tall Assassin Sparks New Interest in Apartheid Atrocities.” Penguin SA @ Sunday Times Books LIVE, penguin.bookslive.co.za/blog/2009/10/16/the-tall-assassin-sparks-new-interest-in-apartheid-atrocities/. Presentation of the ADL Distinguished Statesman Award to Shimon Peres.” Anti-Defamation League, www.adl.org/news/article/presentation-of-the-adl-distinguished-statesman-award-to-shimon-peres. Middleton, Drew. “SOUTH AFRICA NEEDS MORE ARMS, ISRAELI SAYS.” The New York Times, The New York Times, 14 Dec. 1981, www.nytimes.com/1981/12/14/world/south-africa-needs-more-arms-israeli-says.html. “National Counter-Terrorism Seminar in Israel.” Anti-Defamation League, www.adl.org/who-we-are/our-organization/signature-programs/law-enforcement-trainings/national-counter-terrorism-seminar. Polakow-Suransky, Sasha. The Unspoken Alliance: Israel’s Secret Relationship With Apartheid South Africa. Vintage Books, 2011. 187. “Farrakhan Is Not the Problem: The Arrogance and Absurdity of America’s Racial Litmus Test.” Tim Wise, 24 Aug. 2010, www.timwise.org/2008/05/farrakhan-is-not-the-problem-the-arrogance-and-absurdity-of-americas-racial-litmus-test/. Osborne, Samuel. “Israeli Chief Rabbi Calls Black People ‘Monkeys’.” The Independent, Independent Digital News and Media, 22 Mar. 2018, www.independent.co.uk/news/world/middle-east/israel-cheif-rabbi-black-people-monkeys-yitzhak-yosef-talmud-sephardic-a8267666.html.